Supposedly, just one man built the Coral castle. Jilted by the woman who would be his wife, and miraculously recovering from a terminal case of tuberculosis, Edward Leedskanlin built the structure in Florida City, Florida sometime around 1923. He is said to have worked at night, by lamplight when he could not be seen, moving and carving stones which weighed up to several tons each. It remained until around 1936, when he decided to move. He then packed the whole structure (approximately 1,100 tons) up and took it with him. Using material from a nearby quarry, he would continue to work on it at his new location until he died of advanced stomach cancer in 1951. At no point was he witnessed using modern machinery. The coral castle remains standing at this location in Homestead, Florida where it can be viewed today. In addition to the claims Leedskanlin himself made regarding various phenomena as "magnetic currents" there have been numerous supernatural claims made as to how this structure would have to have been built. Is there any way one man, working alone, mostly at night, could have made this structure without using modern equipment? Its website is here. 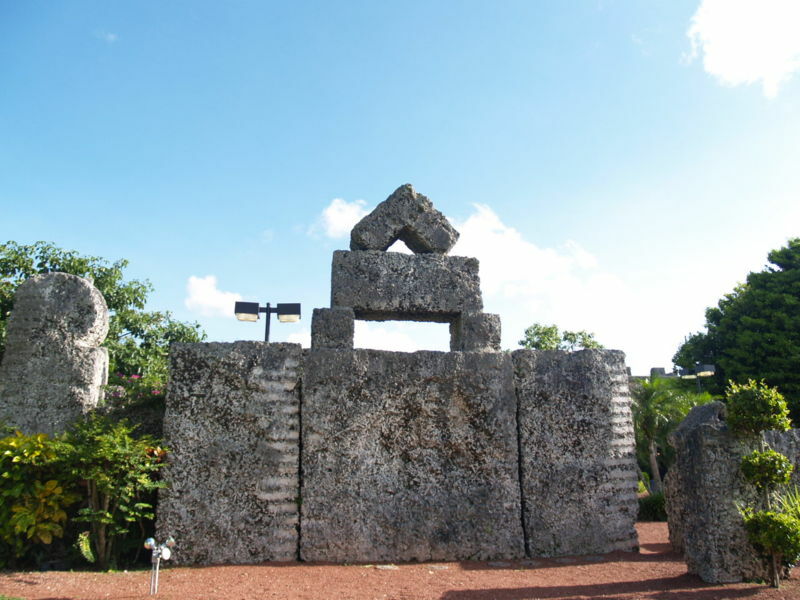 Ed Leedlaskin likely used fairly simple techniques in constructing Coral Castle, a process that took him somewhere around 30 years. This site features some images of Mr. Leedalskin working on the castle using block and tackle, as well as using a electronic lift, and some examples of the chains he used which are still there on site. Yes, it is possible. A guy called Wally Wallington moves huge concrete blocks by himself using pieces of wood. He is basically using a "walking" technique where he is putting something the block can rotate on close to the center of gravity, so that he doesn't have to lift the blocks completely, he just lifts a bit and then use the rotating point as a hinge. To lift he uses levers and lifts the blocks just a small bit at a time, and them moves in a piece of wood to act as a new hinge to lift the other side of the block. Can the Hyperloop infrastructure implode due to a single crack?